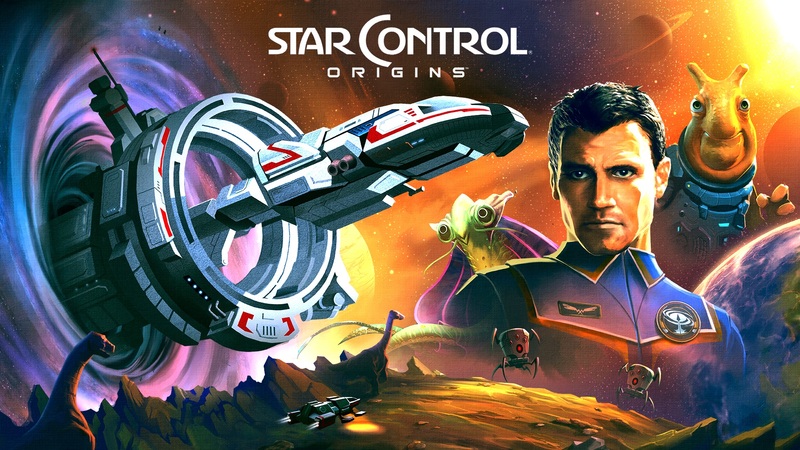 Stardock Entertainment is known for their ambitious space-themed games, however their latest opus, Star Control: Origins, is not another strategy game. 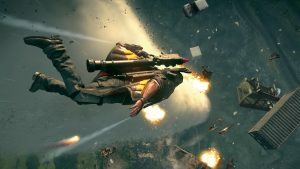 The developer instead chose to make a story-focused, space-faring role-playing game of sorts with a heavy focus on action and adventure. Built in their new custom Cider Engine and taking place before the beloved Star Control series, Origins has quite a lot of expectation riding on it. 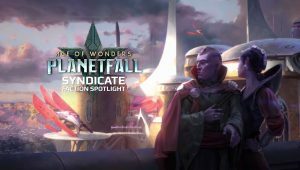 Despite Stardock’s pedigree, does the game hold up? Read on to find out. 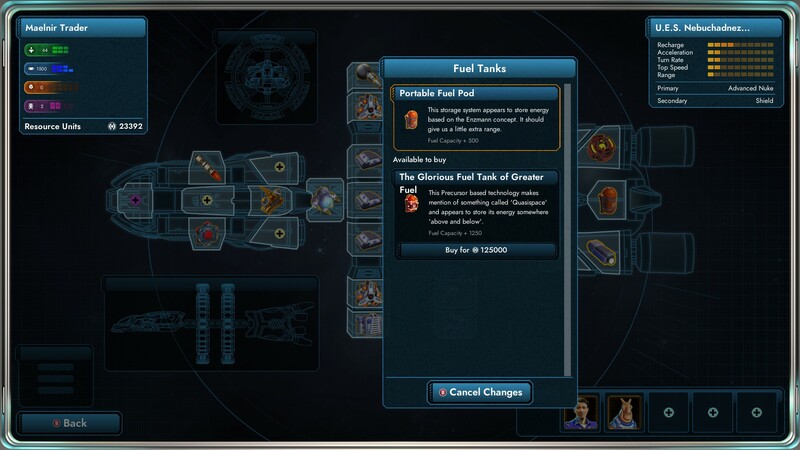 Star Control: Origins is built within Stardock’s new Cider Engine, which itself is built on Oxide Games’ Nitrous Engine. 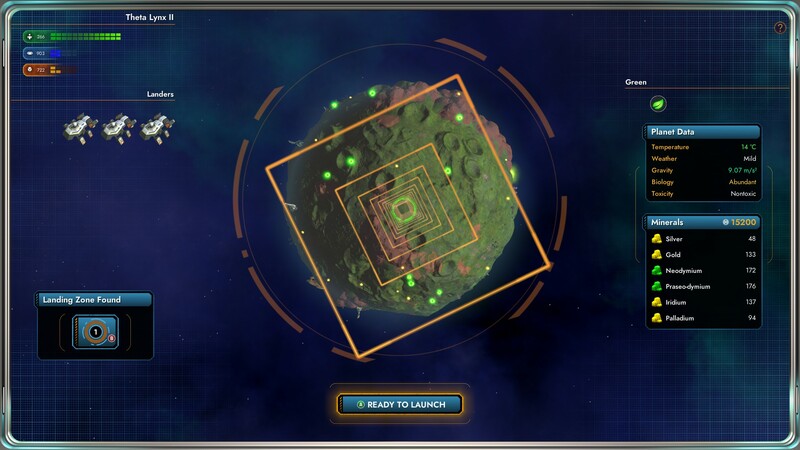 The underlying tech within this engine powered a ridiculously large-scaled strategy game like Ashes of the Singularity, which itself has quite impressive visuals. While you won’t see massive numbers of units clashing in battles, Origins really shines from character models and animations right down to planetary exploration. 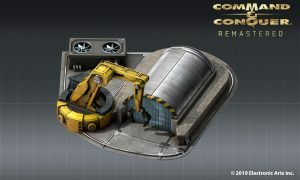 The overall look and feel of the game is something you’d find in older sci-fi, like Star Trek or 2001: A Space Odyssey. 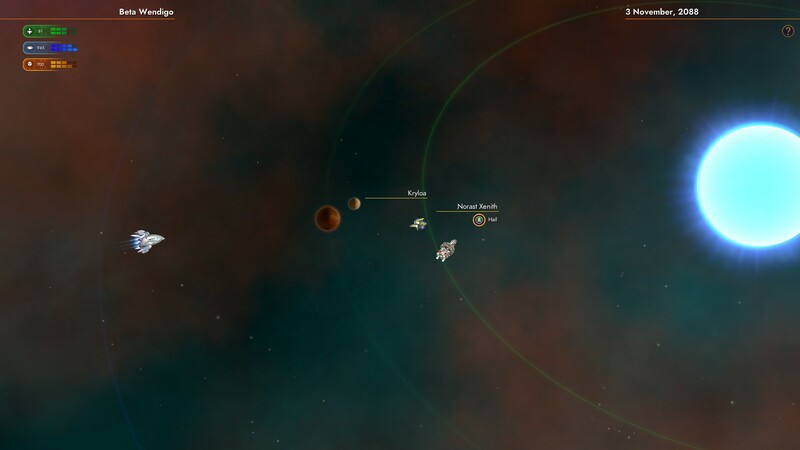 The real star of the show, in my opinion, are the planets you can drop onto for resource gathering, or quests and the like. Planets have raging wind storms, exploding volcanoes, strange green fart clouds, electric storms, and more. There’s a huge number of different environments you can see. Ships and the various tools or weapons you can strap onto them also look excellent. 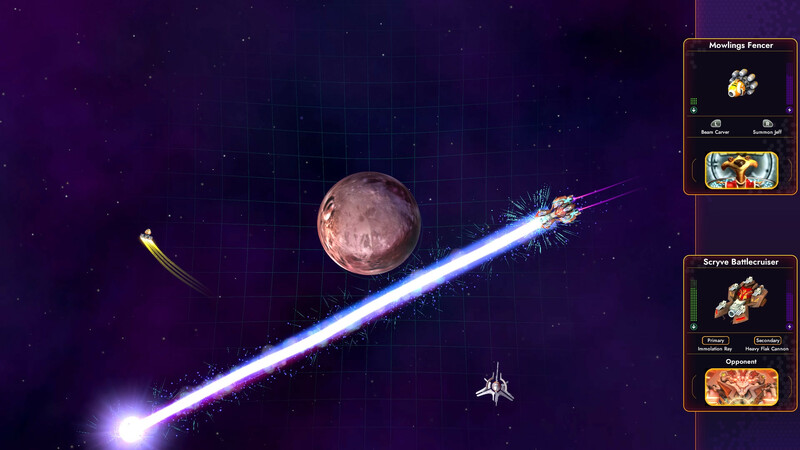 Lasers and missiles create satisfying explosions or effects, thrusters have a nice burning and glowing effect, and the all-around feel of space and everything found out there all look pretty nice. There were a few times textures wouldn’t load properly on a planet, or my game would have some noticeable slowdown or a full lock here and there. I’m running the game on the same rig I reviewed Ashes on, and I could run that game at max settings (and benchmark it very well too). I was a bit let down but overall the performance of the game is pretty damn good. These small hiccups were far and few in between, and for the most part if you have a decent rig you’ll really be in for a treat in terms of the overall presentation, designs, and battles. 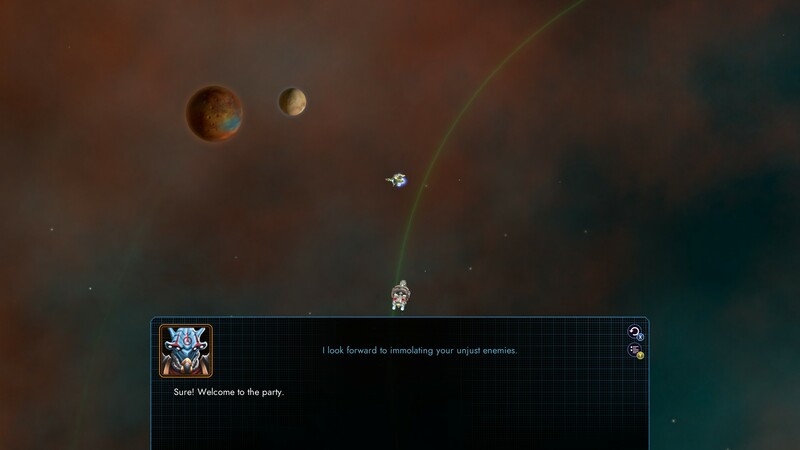 Origins isn’t the space strategy game you probably came in expecting from Stardock. 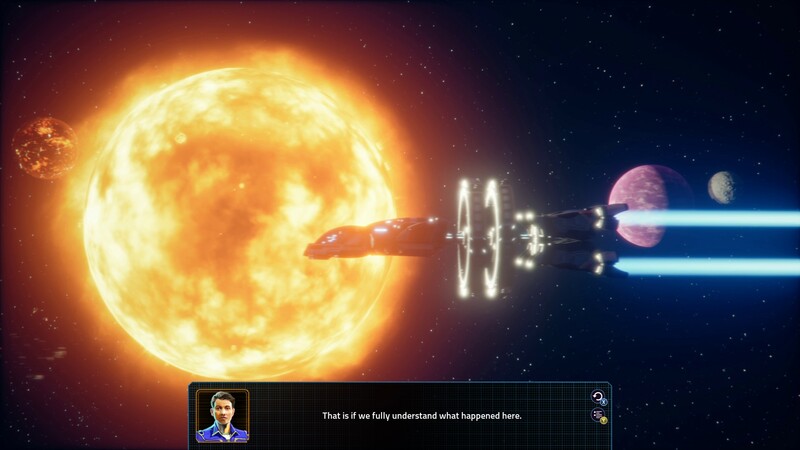 The game throws out any conventional strategy mechanics, instead it focuses on a single player, story-driven experience that sees you captaining the first interstellar ship to leave Earth. From the get-go you start exploring our own solar system, encounter your first aliens, and get quickly wrapped up in an interstellar war against a murderous alien empire that – of course, wants to kill all humans. All of this is meant to recapture the best game in the series, Star Control 2. The default ship is a bit of a lumbering vessel, and can handle like a tank at first. Combine this with the Newtonian physics and you’ll be focusing quite a bit on upgrading the ever-loving crap out of your ship’s speed and turning, as well as getting your chops in those fleet battles. Fleet battles are where the game brings in an action-focused, arena-like mode that has you facing off one-on-one against enemy ships. Pending the number of ships in either of your fleets, these battles can be over in moments, or sometimes can take quiet a few tries to wipe out every last ship. Due to the action-y arena nature of these fleet battles, they can be pretty unpredictable and thus might frustrate more pensive and strategic players. I naturally went for the biggest, fastest, most badass nuke and typically stuck with using that with my capital ship instead of wasting rarer ships. As you explore you’ll recruit more alien species to your cause, whether they’re all for the big war or just to repay their debt to you. The same goes for random ships and tech you find on planets – they’re added to your pool of eligible ships and tech for your main ship, as well as your fleet. Key resources that you’ll have to manage throughout your journeys are naturally fuel, extra ships, but also your crew. You’ll go through a lot of fleet battles and unless you like paying for more alien recruits, you’ll have to keep saving ships and topping off your crew back at Star Control. A good portion of the game involves diplomacy, or rather direct conversations with aliens that range from basic trading and intel gathering, to harassing sentient rock beings into giving you free stuff. The conversations tend to be goofy, downright hilarious, and filled with puns or dad jokes. Once you get the hang of things and start managing your time and money well, the game really comes into its own and is a wonderful experience. At certain points I found it really hard to put the game down, and I legitimately wanted to see where the story was going to take things. I know some people may get terribly bored with the planetary exploration and hoarding lots of resources to sell for big cash, but I found it somewhat balanced. I farmed enough cash for big upgrades somewhat quickly by focusing on planets with more valuable minerals. I wish there were more missions to offset this for people who’d prefer ship-to-ship combat and or helping your alien allies out, but I digress. There’s something for everyone here, and the overall flow of the story with upgrading your ship and fleet mostly felt very balanced. There’s also multiplayer by way of the fleet battles, where you can also design your own ships to fly out into combat – I typically craft very phallic shaped vessels to really throw my opponents off. There’s also a story editor and a planet editor, so you can really go to town. 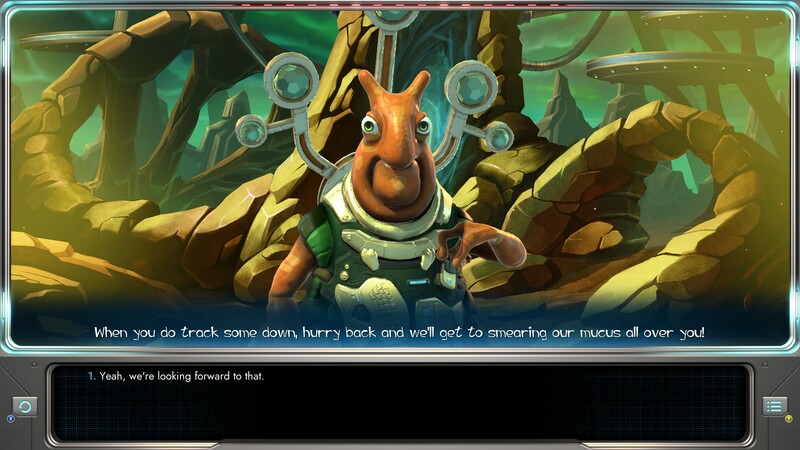 The voice acting in Star Control: Origins is pretty great – there’s a varied cast that even includes Adam Baldwin, all of which do very nice jobs with the various aliens or humans that speak. Certain aliens really steal the show, and I genuinely found myself laughing pretty hard at their voice(s). Ship noises, abilities, and weapons all sound downright amazing and are really satisfying. If you manage to get something like a gatling laser, you’ll be blown away by how powerful it just sounds, let alone actually is. The gamut of sounds is quiet spectacular, and definitely necessary for this game. Music is appropriately sci-fi-y, the kind of tunes you’d expect to hear in a big space-faring adventure game. Tracks range from orchestral music to a large number of electronic bits that provide a nice ambience for your journey. Music even changes up pending your location, and the involved aliens. As mentioned above, the story quickly throws you into an intergalactic civil war of sorts that is largely pushed forward by humans just trying to survive. It doesn’t take long for you to meet your first aliens once you leave near-Earth space, and things get both crazier and sillier from there. The various characters, leaders, and scenarios you run into are all extremely well written and constantly had me laughing pretty hard. If you’re a fan of science fiction and haven’t already thought about buying this game, it’s probably worth the purchase for the writing alone. It’s so damn funny. 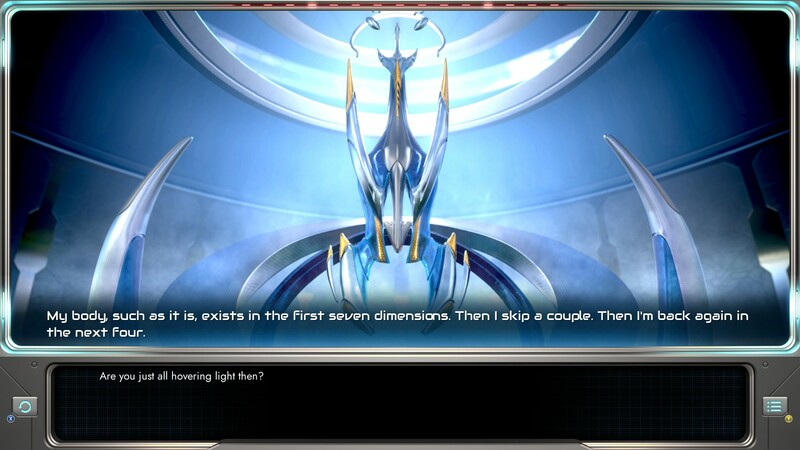 There’s an alien race that has succumbed to an omniscient controller being of sorts, and there’s quite a lot of jokes in there where the game just makes fun of itself, and the various tropes in sci-fi. There’s also a number of puns, dad jokes, and all-around good humor that makes the story quite fun. These jokes continue when you meet aliens from the same omniscient-being species, now free – however they still revert to habitually saying things their former omniscient master would say, only to apologize. It’s so on the nose and so silly I laughed every time. 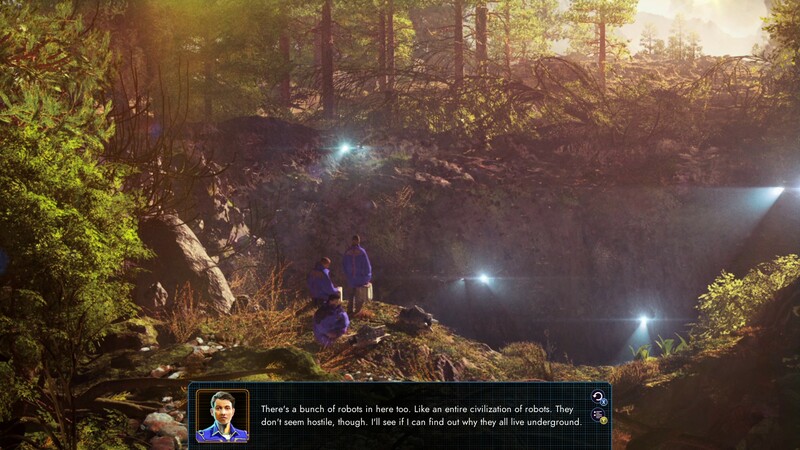 Overall the story really pulls everything together and sets up both an engaging and rewarding portrayal of near-future humanity entering the cosmos, but also a fun and hilarious experience that keeps you invested and actually looking forward to dialogue in a sci-fi game with a multitude of aliens. I thoroughly enjoyed my 50 or more hours in Star Control: Origins as I slowly but steadily explored, mined, and ultimately established humanity as a major player in the galactic stage. 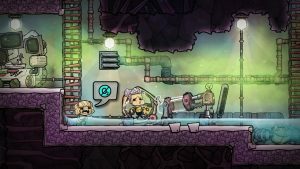 The game has so much love and effort put in, it definitely shines as a game for sci-fi lovers, by sci-fi lovers. Keeping Star Control: Origins an action RPG of sorts and really focusing on nailing a fun yet rewarding single player experience paid off. While there were times I wish I could have started colonizing planets and building armadas of ships, this story of a ragtag crew of underdogs was fantastic. I can’t recommend Star Control: Origins enough, and while there were some minor performance issues here and there, the game is such an enjoyable and unadulterated love letter to science fiction. If you’re looking for a fun and rewarding story-driven space-adventure game, look no further. 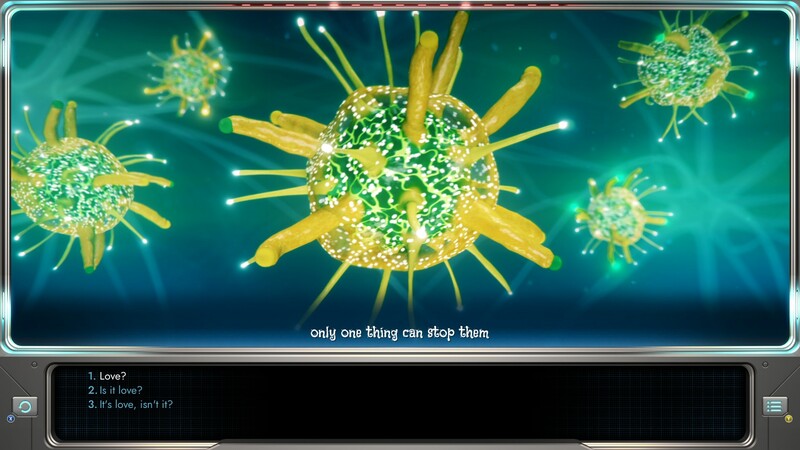 Star Control: Origins was reviewed on Windows PC using a review copy provided by Stardock Entertainment. You can find additional information about Niche Gamer’s review/ethics policy here. Impressive visuals that fully establish an intergalactic adventure.